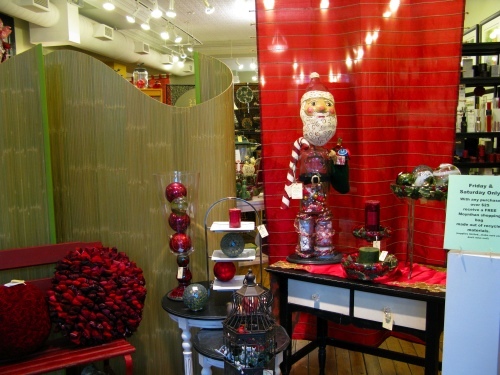 Holiday shopping along the lakeshore offers the discerning shopper numerous one of a kind gift ideas. 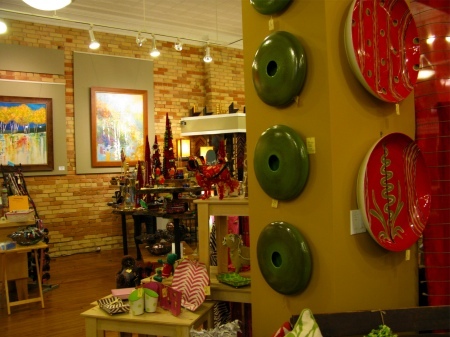 Whether your wish list includes such things as hand woven scarves and mittens, paintings from local watercolorists, wheel-thrown pottery, or fused glass jewelry, the independent stores that dot the lakeshore will make your holiday shopping a festive pleasure. This month, Lake Effect Living showcases the wonderful Kate Moynihan Gallery in the heart of downtown Holland. 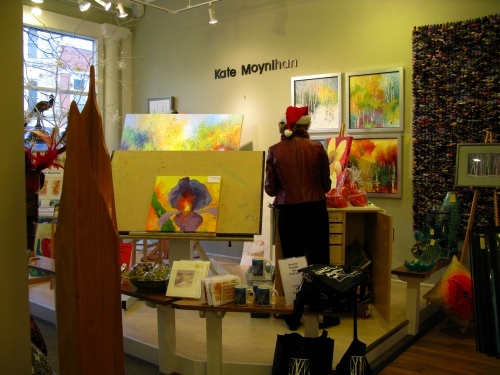 In 1993 artist Kate Moynihan opened her gallery on 8th Street in downtown Holland. Visitors to the spacious 3500 sq. 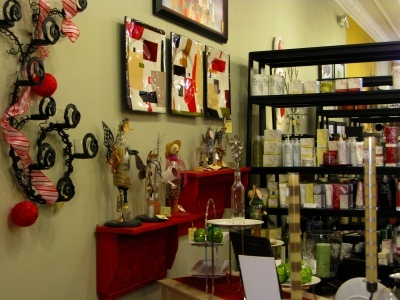 ft gallery can not only shop for apparel and jewelry, they can spend time in the sunlit area devoted to Kate's artwork. If you're lucky, you may be there on those occasions when she is painting near the gallery window. And if you decide to purchase one of her watercolor and mixed media paintings, the gallery provides framing services. After looking at Kate's exceptional artwork, take the time to browse through the rest of the gallery for jewelry, (including Troll beads), purse organizers, stylish home decor items and a boutique collection of women's apparel. And don't forget about the popular Archipelago diffusers, candles and other botanicals.